You are here: Home / blog / Rooswijk1740: An Engagement and Training Success! International Archaeology Day is a day of celebration of everything to do with archaeology and the thrill of discovery. Every October archaeological organisations across the world present archaeological programs and activities for people of all ages and interests. Whether it is a family-friendly archaeology fair, a guided tour of a local archaeological site, a simulated dig, a lecture or a classroom visit from an archaeologist, the interactive, hands-on International Archaeology Day programs provide the chance to indulge your inner Indiana Jones. This year we haven’t been able to schedule an event to fall on the actual day but we will be holding a Rooswijk1740 open day on Sunday 11th November! 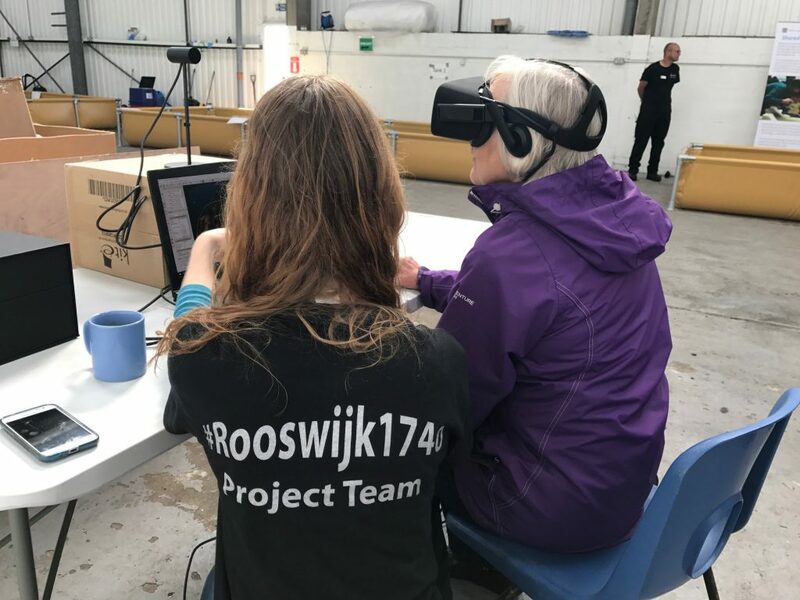 To mark the day, we thought it would be nice to highlight some of the achievements of the Rooswijk1740 project which very appropriately is an archaeological project with an international team as well as having had engagement and training at its heart. 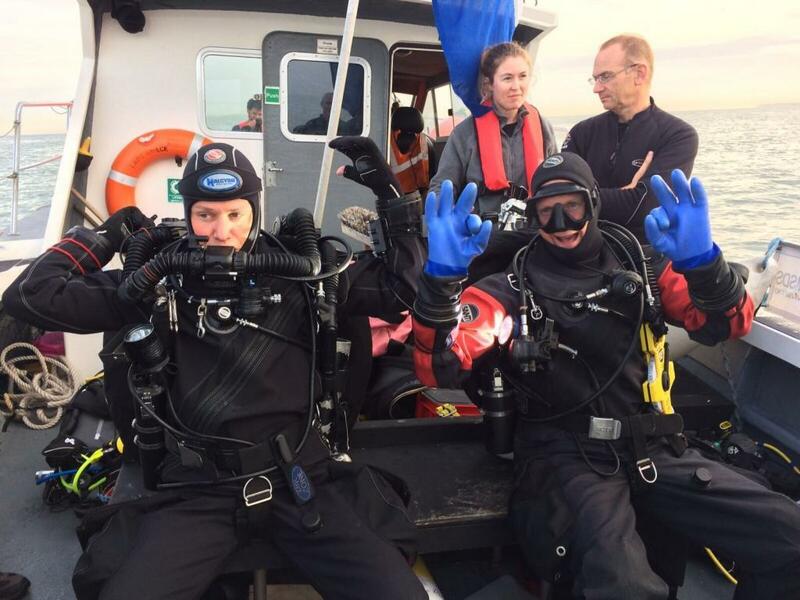 Two major field seasons have now run in 2017 and 2018 with over 67 diving days and 191 dives (a huge number given the challenges of diving on the Goodwin Sands!) having taken place. What has been astonishing though is what has been achieved in terms of public outreach and training. 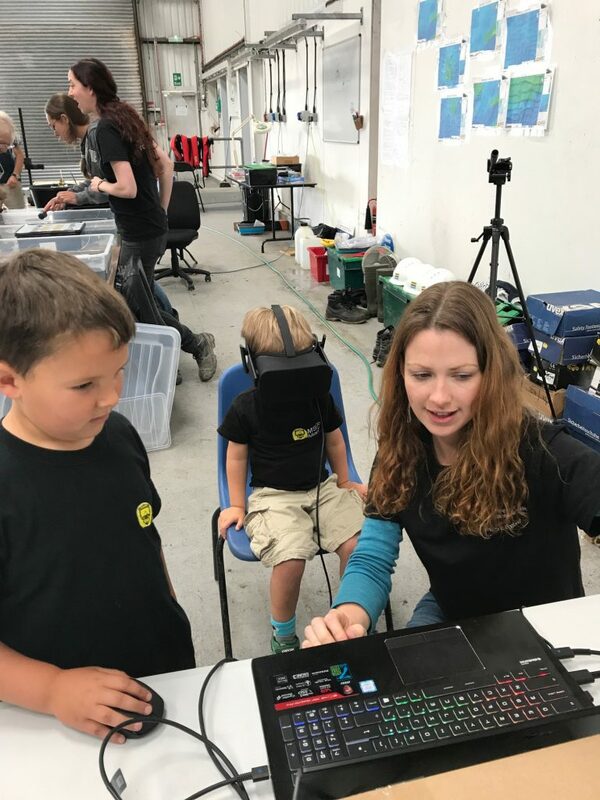 The very nature of maritime archaeology, lying at the bottom of the seabed in an area only accessible by those with the right training and equipment, has meant that only a small number of people have had the opportunity to engage with maritime archaeology projects. As a PADI Diving Instructor I would love to be able to teach every single person to dive but that isn’t really a practical solution to engaging the wider community! Engagement really is important though for many reasons. Communities that feel included with a project can be its most powerful champions, supporters and custodians. As an example, maritime archaeology as a discipline is far behind what has been achieved by the marine biological community. Their targeted awareness programmes are now decades old and marine biology is appreciated and valued across society and not just within diving community. The Rooswijk wreck site is recognised as at high risk on Historic England’s Heritage at Risk register due to increasing exposure and the risk of unlawful salvage from treasure hunters. Whilst community involvement could not change the environmental factors putting the site at risk (unless considering the longer term support of communities as a mechanism for lobbying for increased funding) it was recognised early on that it could help address the risk to the site from unauthorised access and looting. Historic England’s Heritage Crime Prevention Guide recommends extending the sense of community ownership and encouraging local vigilance as one way to reduce possible crime on a site. An increase in awareness can lead to an increase in vigilance and the reporting of suspicious or unusual behaviour. With more intelligence being fed to the authorities the risk of being captured is again increased. 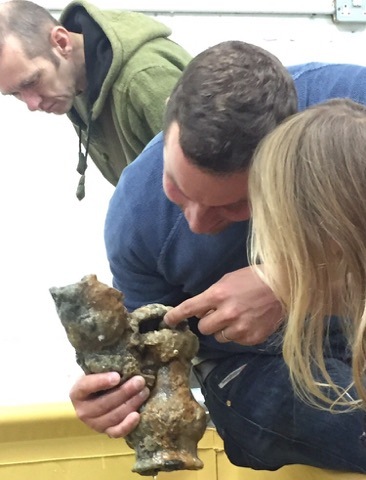 The Rooswijk project has used a mixture of open days, talks and social media to engage the local community including recreational divers, town councils, harbour authorities, marina users, community archaeology groups and others. 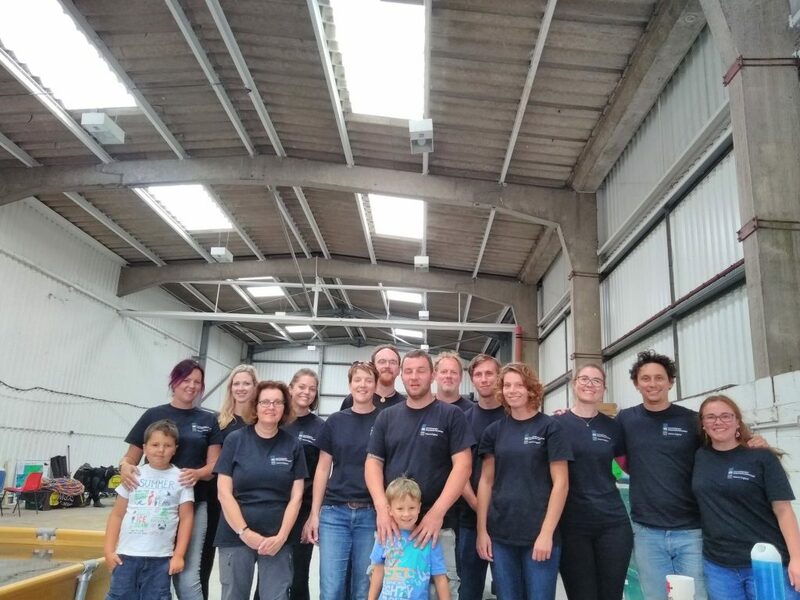 In both 2017 and 2018 members of the project team provided well attended talks at the Ramsgate Festival (a local community festival which fell at the same time as the project work). These presentations attracted over 80 attendees each year. The project has now run four open days in Ramsgate with another planned for the 11th November 2018 in Portsmouth. 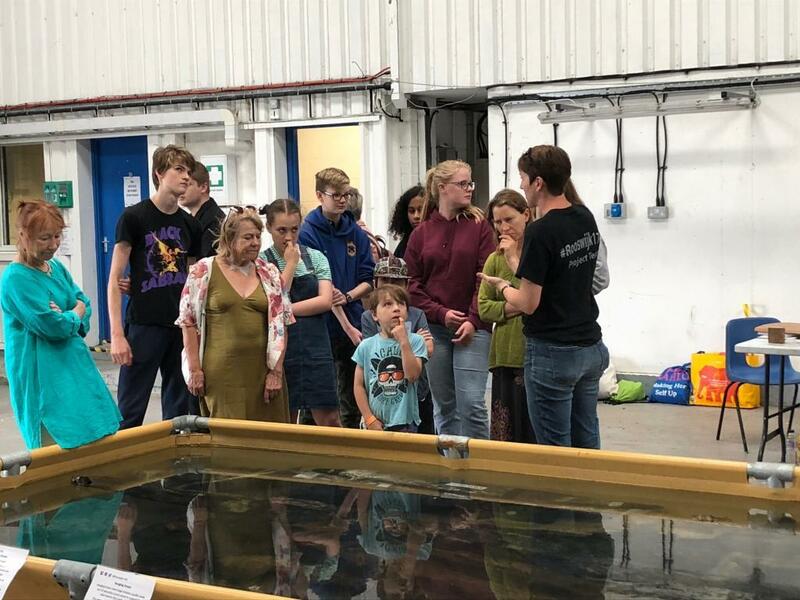 Over 950 people have now attended these open days and had the chance to view material from the site and talk to divers, conservators and other members of the project team. 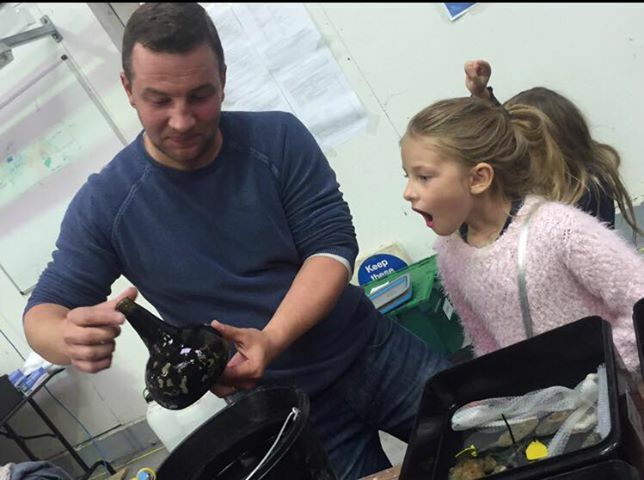 Over 400 people attended the second open day for the project. Those attending were invited to complete a questionnaire about their visit when leaving. 80 people provided information about the place they had visited from to attend the open day. Just over half of people (42) came from the local area (defined as CT10, 11 or 12 postcodes) and 38 people came from significantly further away with their average distance travelled for their visit 78 miles. People had come from Lancashire, Plymouth, Bristol, Birmingham, London and even Belgium specifically to attend the project open day which clearly shows how much people value the opportunity to engage with a project such as Rooswijk1740. An amazing and important project internationally but relevant and important locally to Ramsgate and Thanet equally. The open days are critical to engagement with a larger often uninvolved population. It is lovely to meet with such enthusiasm and it is so inspiring for the children to see people who love what they do and care about sharing it. Fantastic displays and wonderful guides to help us imagine life and the science of this boat and its excavation. More please! 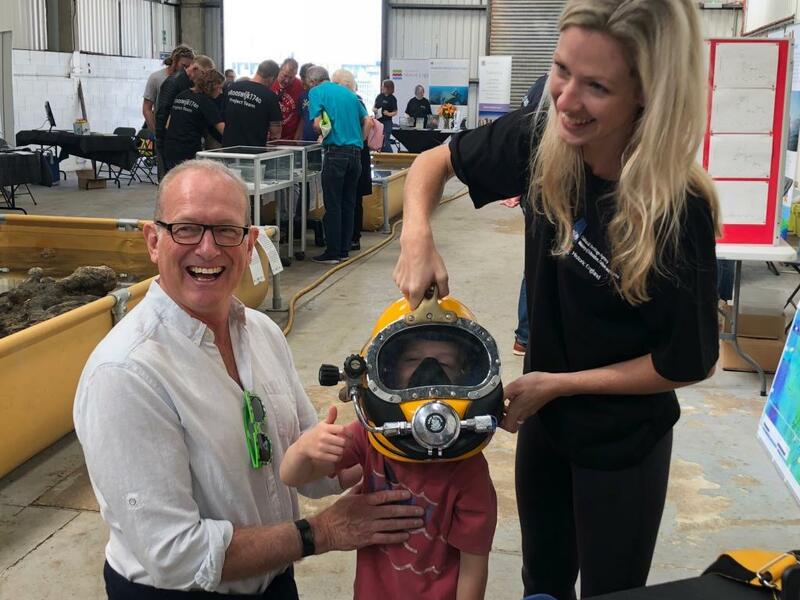 In addition, and in what may be a first for maritime archaeology, the site on the seabed was opened to visiting SCUBA divers to allow recreational divers the opportunity to see the team at work. 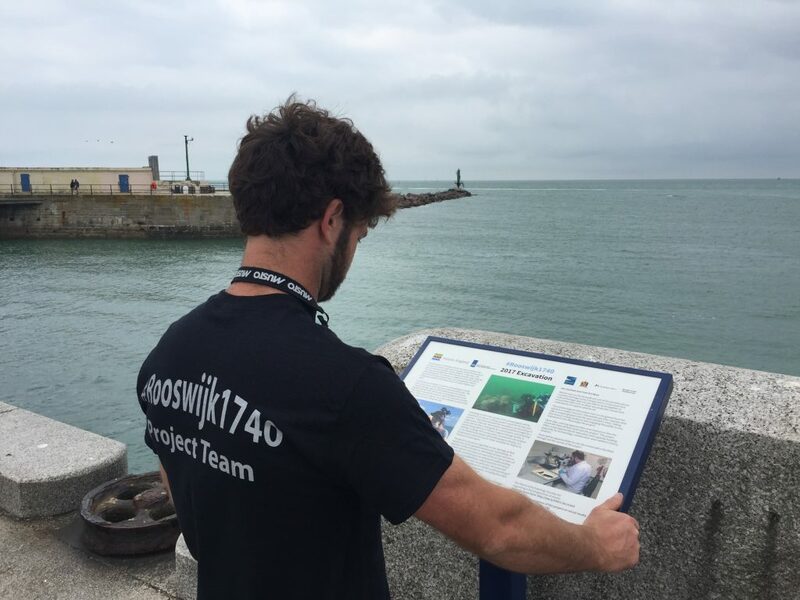 The project has had a large social media element from the outset with @Rooswijk1740 pages on Facebook, Twitter and Instagram and people encouraged to use the #Rooswijk1740 hastag. Finds were recorded using photogrammetry and structured light scanning and uploaded to Sketchfab as soon as they were available for the public to view. Interpretation panels were put up in the local area to tell the community about the project. From the start of the Rooswijk1740 project training opportunities and chances to dive the wreck site were all built into the project. The team realised that the project offered a real opportunity for education and capacity building especially for archaeology, conservation and maritime history students. Two full time conservation interns were recruited in 2017 and the 2018 season has resulted in two 18 month paid roles for early career professionals in archaeology and conservation. Training and career development opportunities were provided to all the team wherever possible. Twenty University students were given two week long placements providing them with excellent hands on experience in archaeological techniques. Training opportunities were also built in for members of the public who were not archaeologists or heritage based students. 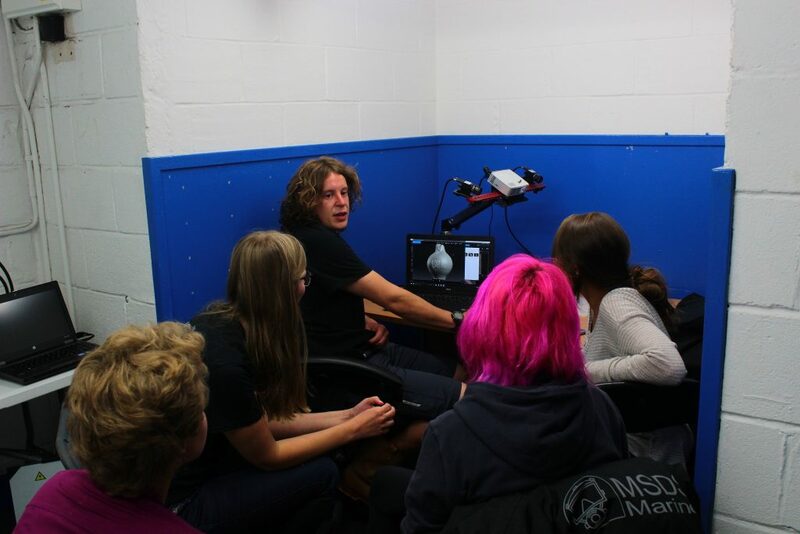 The Nautical Archaeology Society were tasked with running training courses in maritime archaeology and specific skills such as photogrammetry for the public. To date 55 people have completed an NAS training course paid for through the project and six more courses are scheduled for later this year and 2019. Educational opportunities were also made possible for local children. Fifty children participated in an educational visit to the shore side facilities. 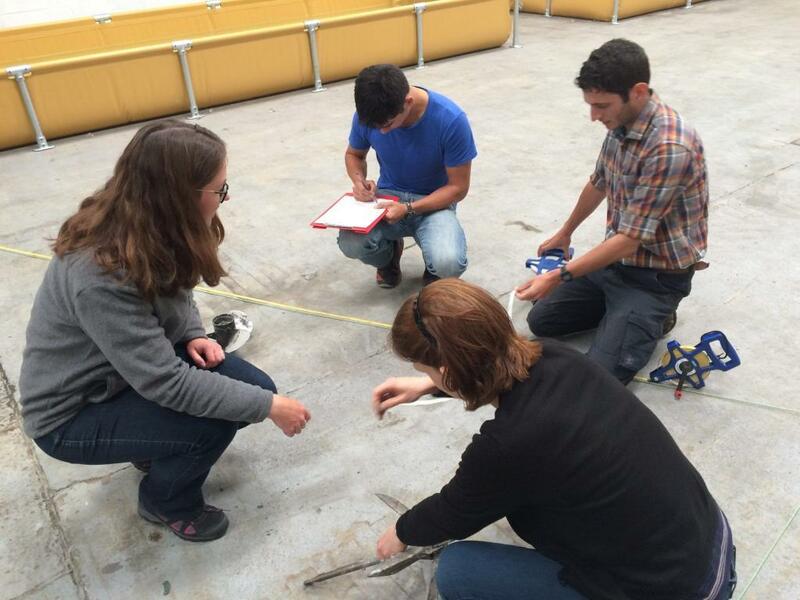 The project is now in the post excavation phase with artefacts undergoing assessment, analysis and conservation. Outreach and training opportunities will continue to be identified and delivered at every possible opportunity. 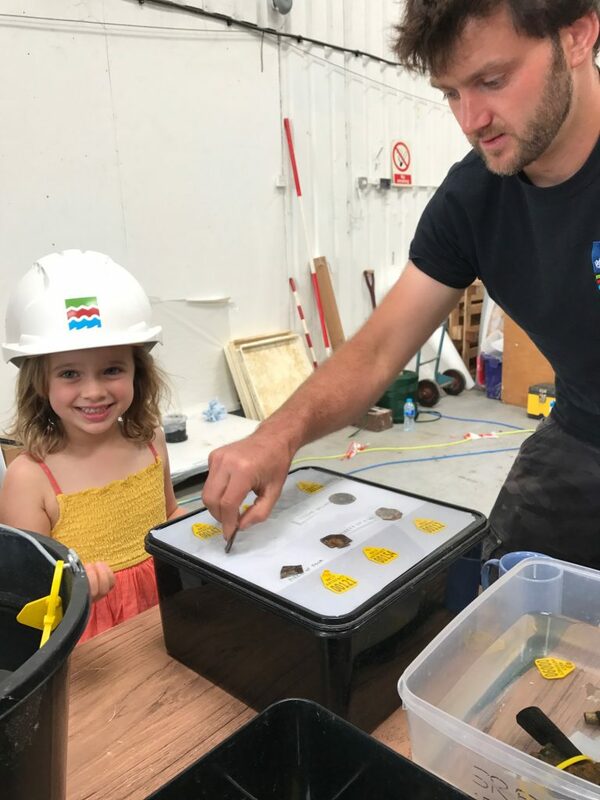 The project is an exemplar of how maritime archaeology can be made accessible to all regardless of age, ability or skill The project continues to be an international project which is reflected in its multi-national team. On the 10th January 2019 a virtual dive trail will launch for the site. The trail is the latest in the Historic England scheme and will use new techniques of display and interpretation to engage the public with the Rooswijk irrespective of their ability to physically access the site. You can find out more about the project and stay posted with updates, including the launch of the virtual trail, by following @Rooswijk1740 on social media (Facebook, Twitter and Instagram).